2017 Europe, Connect Shimane,U.K. | TIFO Activities Report | TOSHIBA INTERNATIONAL FOUNDATION,U.K. 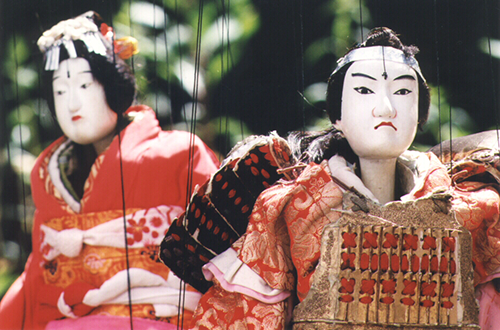 For over 130 years, Masuda String Puppeteers Association, designated as a cultural property in its home prefecture, Shimane, has preserved the art of Edo puppetry in its performances. In 2017 the association performed at SOAS University of London and at the Norwich Puppet Theatre. At SOAS, Professor Andrew Gerstle gave a talk on the history of Shimane's string puppetry and Izumo-no-okuni, the Kabuki originator associated with the prefecture. In Norwich, the team also held a workshop for UK puppeteers and researchers.